Last year at this time I was halfway through documenting a nearby field for a series I called The Meadow. I would wander around there about every two weeks or so to see what was new. Now, I’m from New England and we just don’t have anything like this growing up. I became very excited and entertained the idea that I had discovered a new and alien flower species. It was unlike anything I had ever seen. I admit to being a bit disappointed to find out is was a passionflower (what a great name!) and common in southern fields. That it was common has not diminished my delight in this flower. I went back to the meadow yesterday just to see if I could find them again. I did and this time greeted them like old friends that I was so happy to see. 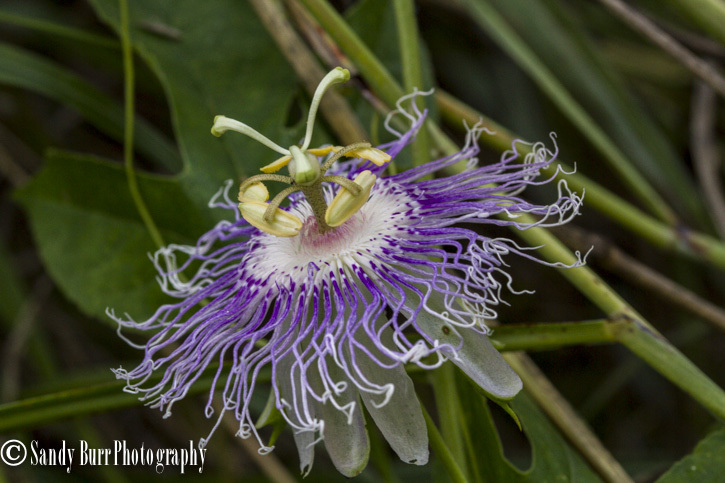 This entry was posted in Sandy Burr and tagged passionflowers, Sandy Burr Photography, The Meadow on August 20, 2013 by sandyburr05.